Your PR year in review: Can the BJP retrieve its tarnished image in 2016? 2015 will be remembered as the year of the loudmouth. From General VK Singh to Donald Trump, to various members of the BJP-Sangh Parivar and an global auto companies caught cheating on their emission standards to chest thumping interviews by e-comm companies during Diwali! What were they thinking! Is there a strategic method in the tactical madness? We ask who has the worst PR this year. 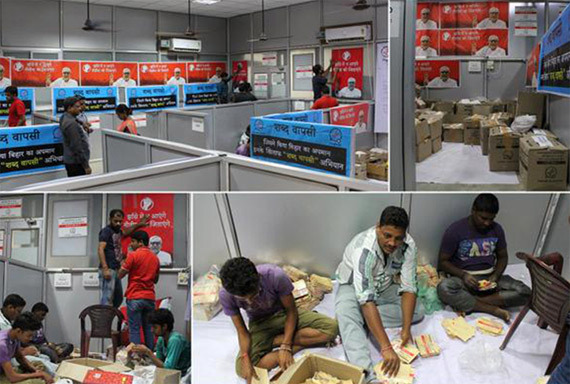 Modi accuses Kumar of faulty DNA, Bihar responds with hair and nail clip samples! General VK Singh calls journalists ’presstitutes’ likens outcry over the burning of Dalit children to throwing stones at dogs. The Dadri lynching leads to returning of national awards by writers, artists and film makers protesting the climate of intolerance. The first ever such major protest in India since Tagore returned his Noble prize for literature to protest British rule. Union Minister for culture, Mahesh Sharma terms Dadri lynching an "accident". Hands down, the BJP had the worst PR this year. In 2014, the BJP were the PR masters, with Narendra Modi the giant who could do no wrong. In 2015, an over confident BJP got their vote bank calculations badly wrong in the key state of Bihar. Loose talk by both the PM and the Sangh Parivar only made matters worse. 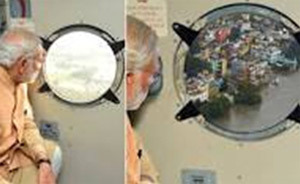 To make it worse, a morphed picture of Modi and the Chennai floods forced a rare apology from that outdated institution, the grand old 'Press Information Bureau'. The statement was a masterly mix of babu talk, euphemism and clumsy spin. Unlike most army chiefs, General VK Singh was both seen and heard. In his post retirement avatar, he doesn’t seem to have learnt the art of diplomacy, not that he seems to care to either. Kunal Kishore Sinha, founder director, Value 360 Communications, say that you cannot call the press, your biggest public audience, ‘presstitutes’. Sinha feels that Singh being from the army says what he thinks, but requires a complete restructuring of his thought process as a politician. Big money and chest thumping talk seem to go together. Diwali, saw Flipkart, Snapdeal and Amazon make massive ad spends for a big sales push. This was also accompanied with war talk between Snapdeal and Flipkart about who is leading the ecommerce category. Sinha believes that declaring sales targets and other numbers before they are achieved could come back and haunt companies in a certain category. Come result time in March, reporters will be looking out for how these claims play out. Many would argue though that the statements are aimed at their investors and serve a purpose to showcase their intent. Snapdeal raised 500 million dollars in August, 2015 in the latest finding round which pushed its' valuation close to 5 billion dollars. The race to become US President has been marked by a slew of republican candidates, the most vivid of whom is 'The Donald'. Campaigning with a mix that appeals to the traditionalist and caters to growing fear of immigrants, Trump has done better than expected. Will Trump be fired or hired by voters? Sadly, the Donald has done better than expected, prompting the Huff Post to no longer file his campaign stories under entertainment. 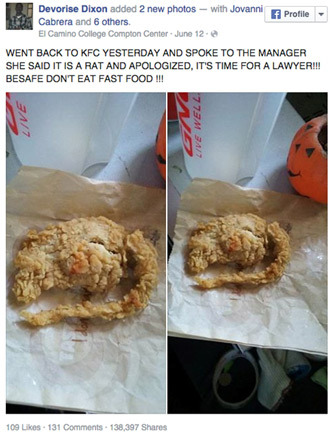 The infamous ‘rat’ turned out to be good old chicken. Apart from aggressive customers, companies are also accountable for their brand ambassadors and vice versa. The Maggi incident saw brand ambassadors being called out for endorsing the product and Aamir Khan’s comments on feeling safe in India dragged Snapdeal and other companies into the wake. What Volkswagen has done is beyond bad PR really, as it lied and got caught. The US sub prime crisis and Enron has clearly not ended such blatant corporate cheating. That’s it for 2015, hopefully between now and the New Year there will be no more PR fails. Onto the PR falls for 2016!